Meet Jennie! RASKC is extremely pleased to honor Jennie, who performs outstanding work in several roles at RASKC. Many people have noted Jennie’s tremendous proficiency, very pleasant demeanor, and exceptional attendance. She has been working a weekly shift on our Cat Meet and Greet Team since 2015. 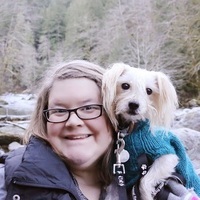 Jennie has been walking dogs every week at RASKC since 2016. She has trained dozens of new volunteers in both roles. 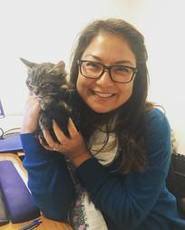 Jennie also leads RASKC’s monthly family-outreach event at the Seattle Meowtropolitan Cat Café She has been invaluable to our social-media presence, posting photographs and videos of our adoptable pets on Instagram. Thank you, Jennie! An interview with Jennie can be found on our website and blog. RASKC is honoring National Emergency Preparedness Month by giving away pet-preparedness starter kits to everyone who adopts a cat or dog from us this month. We encourage everyone to make pet-oriented plans, so you’ll be ready in case of a disaster. RASKC is stepping up our collaborative efforts with the Northwest Spay and Neuter Center. Starting this month we will offer opportunities for RASKC volunteers to provide animal transport to and from the Center in Tacoma on nearly a weekly basis. This work is very valuable, as it speeds up the time for animals to be ready for adoption. If you are a RASKC volunteer who might be interested in providing transportation between RASKC and the Northwest Spay and Neuter Center on Tuesday, Wednesday, or Thursday mornings, contact our Volunteer Program. Congratulations to Nickie and Lluvia! This a program that engages, challenges, inspires, and cultivates diverse and individual contributors through leadership development. The Bridge program provides participants with experiences and tools to enhance their professional growth. For 20 weeks Nickie and other participants will engage in classroom learning, group projects, presentations, and other career-development activities on human potential, growth mindset, team building, equity and social justice, project management, resume building, and public speaking. The Bridge Fellows will visit various county agencies and learn about their priorities. The NW Women’s Leadership Academy is launching an exciting pilot program officially sponsored by the Washington City-County Management Association (WCMA) to advance women from a variety of backgrounds in local government into leadership roles. The 2018-19 Academy includes six day-long sessions presented by outstanding public sector leaders and hosted by jurisdictions in the Central Puget Sound. The sessions run from September 2018 to June 2019. The Academy is an exceptional professional development opportunity for a cohort of emerging local government leaders. Participants will enhance skills and competencies, build confidence, and expand professional connections through career mentoring and moral support. Register here for RASKC’s pet photo class that will be taking place on Saturday, October 6, from 1:00pm- 3:30pm in Kent (free). This session is open to volunteers, staff, and to members of the public. Taught by acclaimed professional photographer and animal rescuer Brooke Mallory, the session is open to people of all skill levels. Brooke is a very engaging instructor who always receives top ratings from class participants. Not only will you sharpen skills to post pet photos on to RASKC’s website and Facebook page, you are encouraged to share your RASKC photos on Instagram. 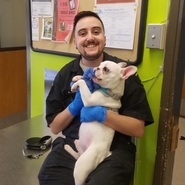 Acting Shelter Sergeant Adryan Jones started at RASKC as an Animal Care Technician in 2016. Earlier this year he was promoted to his current position. Adryan typically works Wednesdays through Saturdays, while his counterpart Acting Sergeant Kate Cataldo usually works Sundays through Wednesdays. Tell us about yourself. I grew up in southern California. As a child, I always wanted to move to Alaska and work with sled dogs. As an adult, I moved to Canada, near Toronto, before coming to the Seattle area. I have a degree in Anthropology. I have two cats. Why did you decide to work with animals? I have always liked animals. I connect with them and get along with them easily. What did you do prior to coming to RASKC? I interned at a wildlife sanctuary. Then I worked at the San Diego Humane Society, where I met Nickie Ford (who now also works at RASKC). When I moved here, I first worked at a doggie daycare. There’s a big difference working with owned dogs compared to dogs at the shelter. I definitely prefer the work here. What does your work for RASKC involve? I supervise all of the shelter animals and the Animal Care Technicians. I make plans, review processes, answer questions, educate the community, and communicate with a lot of people and animals. It is emotionally exhausting and really rewarding. What is the best part of your job? The best times are when I socialize the dogs in my office one-on-one. Certain dogs, like Roomba, really need it. I love working with the scared, shy ones who eventually transform into super happy dogs who are exhilarated to see me. I like being a voice for animals. What do you do when you’re not at work? Most of all I like to hang out with my cats. I like to play video games, work puzzles, color by number, and watch tv. I enjoy superheroes, especially X-men, Wolverine, and Nightcrawler. I would like get back into Kung Fu, but I need to find a dojo in south King County. Please share a story about an experience with great volunteers. I have always been pro-volunteer. I appreciate everything that they do. I try to thank them as often as possible. I don’t want to play favorites, but my favorite volunteers are the Shelter Helpers. Their behind-the-scenes work is very gratifying to the staff. Hopefully the volunteers find it gratifying too. Bruno is an 8 year old male Pit Bull dog, Red and White (ID #A563859). This handsome fellow was brought in as a stray. Bruno is not an overly "touchy" guy, but he does appreciate a few pets here and there. This could change with time, but for now he just needs some space. While he may not be the best cuddly buddy, Bruno does love to play! Toys are a few of his favorite things! He tends to calm down more when people around him stay calm. Bruno has a RED personality and is a spirited and fun-loving boy! Bruno is neutered, current on vaccinations and micro chipped. His $100 adoption fee also includes a free visit to the veterinarian of your choice, and 30 days of opt-in pet insurance through Trupanion. Also, because September is National Preparedness Month, everyone who adopts a pet from RASKC this month can get an emergency kit starter pack compliments of RASKC and King County Emergency Management. You may meet Bruno and other animals available for adoption, seven days a week at RASKC's King County Pet Adoption Center in Kent, 21615 64th Ave S; Mondays - Fridays: 12 p.m - 6 p.m., Saturdays - Sundays: 12 p.m. - 5 p.m. 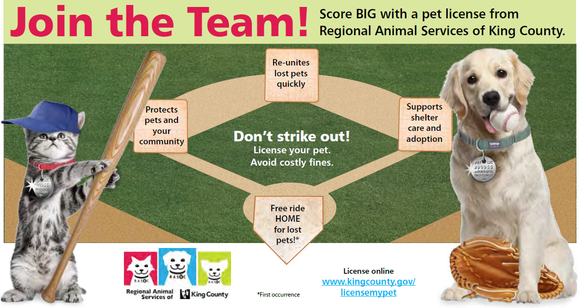 Phone: 206-296-7387 (PETS), adoptapet@kingcounty.gov. 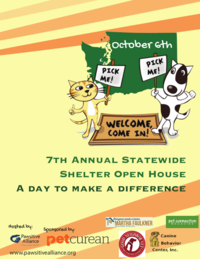 RASKC Open House on Oct 6: As we have been doing for several years, RASKC will again be hosting an open house on Saturday, October 6, as part of a statewide promotion organized by Pawsitive Alliance. Seeking organizers for B&N winter gift-wrapping fundraiser: RASKC volunteers have been raising thousands of dollars for our Angel Fund by wrapping gifts at Barnes and Noble stores in Tukwila and Federal Way for the past several years. For this success to continue, RASKC needs an organizer for each store. If you might be interested, contact the Volunteer Program. Café Neko & RASKC are included in a posting about cat cafes across the United States (see slide 33). Thanks to volunteer Denise Sheheen for bringing this our attention. Thanks for shaking: It’s super important to shake out all items that are on their way to the dirty laundry. Our washing machine breaks down when too much debris is not shaken out. Hay days for our rabbits: Early Morning Cat Crew and the Cat Meet & Greet Team are encouraged to provide plenty of hay for the rabbits to eat on an ongoing basis throughout the day and evening. And water too! EMCC and guinea pigs: When guinea pigs or other small rodents are available for adoption, be sure to clean out their habitat. If you’re not sure how or if you’d rather not, be sure to engage with the Animal Care Technician during your shift. RASKC maintains more than 300 scheduled shifts; 85% are weekly. If you do not see an opening that matches your availability, no worries! Additional openings occur almost every week. Most volunteer descriptions can be found on our RASKC Volunteer webpage. Wednesdays, 1pm- 3pm, alternating weeks. Sunday, October 14- Dogs (8am- 10am or 10am- 11:30am or both) Red dog-walkers only. 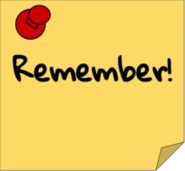 Sunday, December 9- Dogs (8am- 10am or 10am- 11:30am or both) Red dog-walkers only. Thanks for all that you do to help the animals and everyone else at RASKC and at other locations.